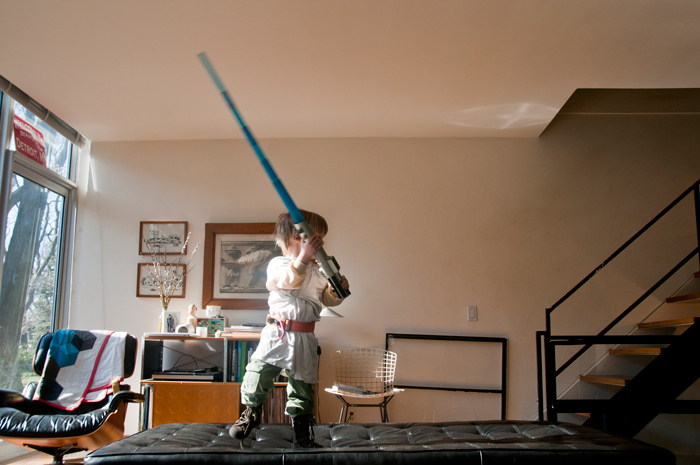 We seriously need an intervention with all the Star Wars stuff around here. 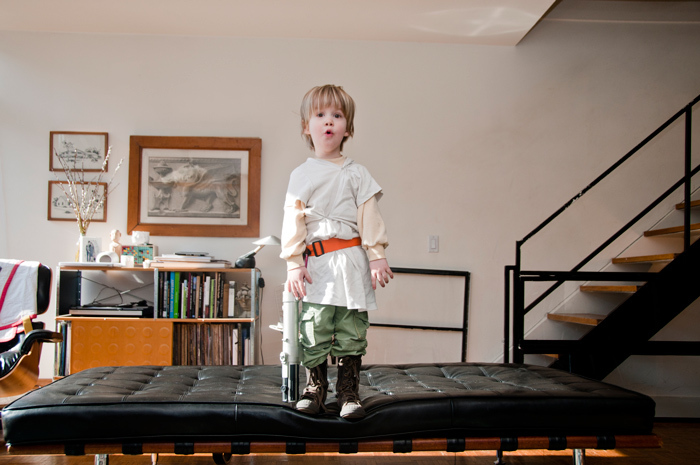 For weeks my son has been demanding a "Luke costume." 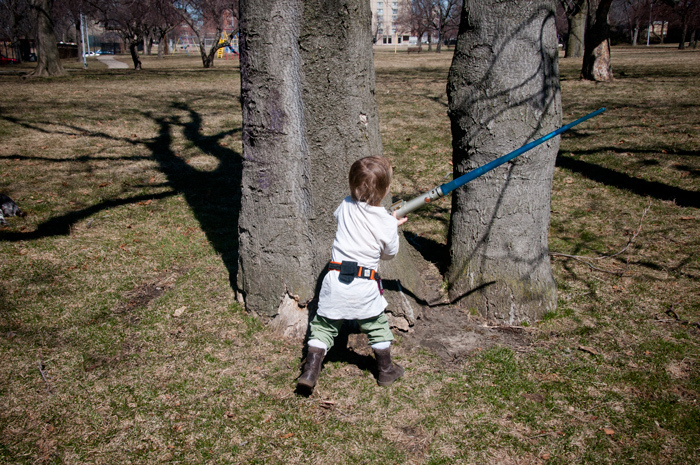 Finally I relented, tucking his pants into his boots and wrapping a dinghy old t-shirt around him, using a toy tool belt to hang his light saber. We didn't have to do anything with his hair. I'm afraid it's only a matter of time before he joins one of those troupes of husky snowtroopers that visit sick kids in the hospital or whatever. 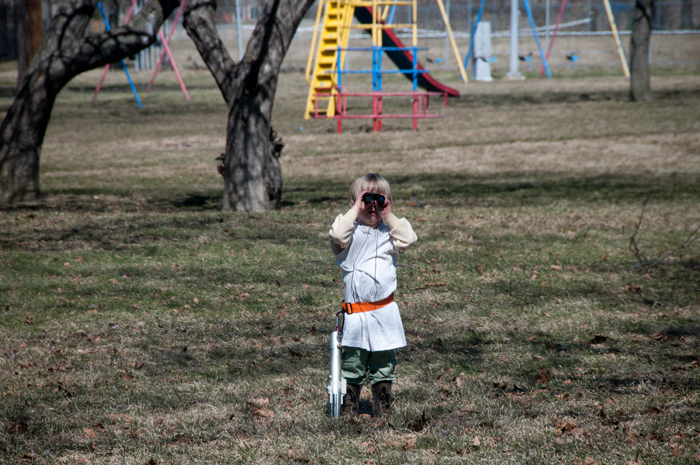 "There are two Banthas down there but I don't see any... wait a second, they're Sand People all right. I can see one of them now." 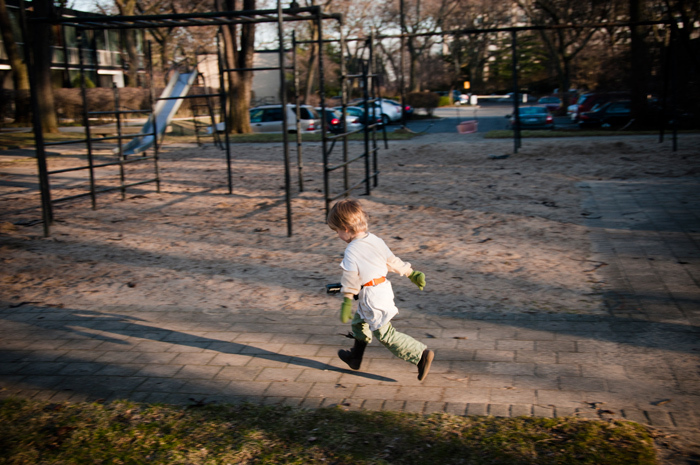 At some point I asked him where he was going, and I swear to God he said, "Oh, just the Degobah System."